be quiet! 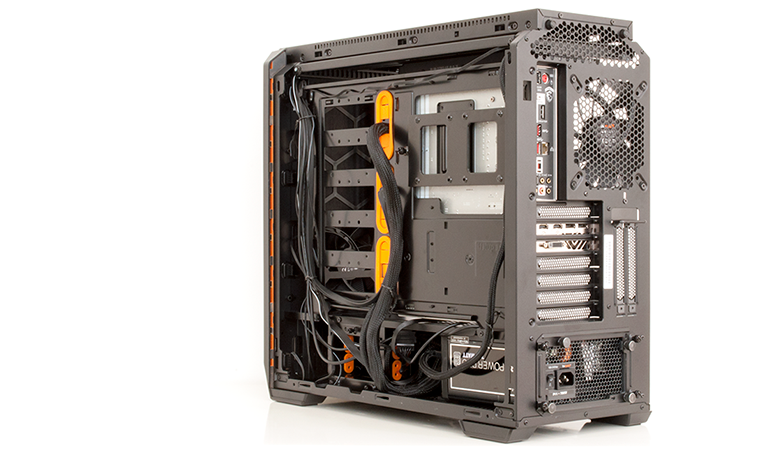 is today launching a successor to one of its earliest chassis, the Silent Base 600. 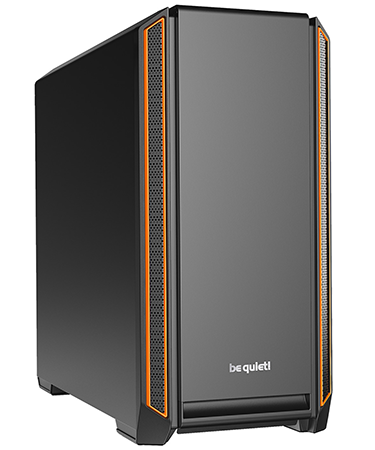 Dubbed the Silent Base 601, the 2018 refresh arrives nearly three years after the original and is described by the German manufacturer as "the perfect choice when it comes to combining silent cooling and best-in-class usability." 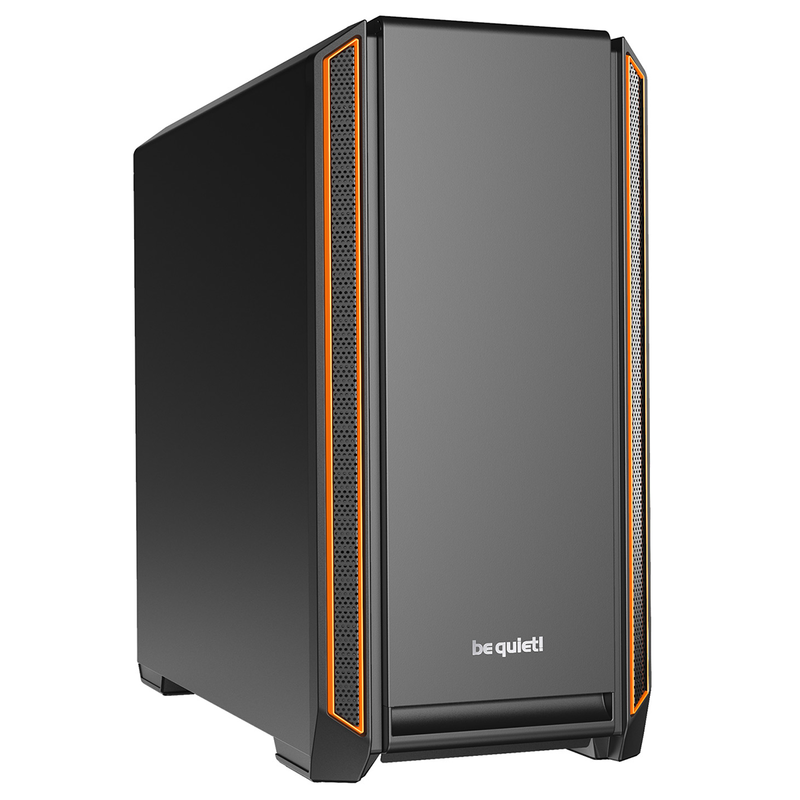 First unveiled back at Computex in June, the 601 is arriving at retail stores priced from £110. As is the case with a great many products these days, our first thought is that the price point has gone up. 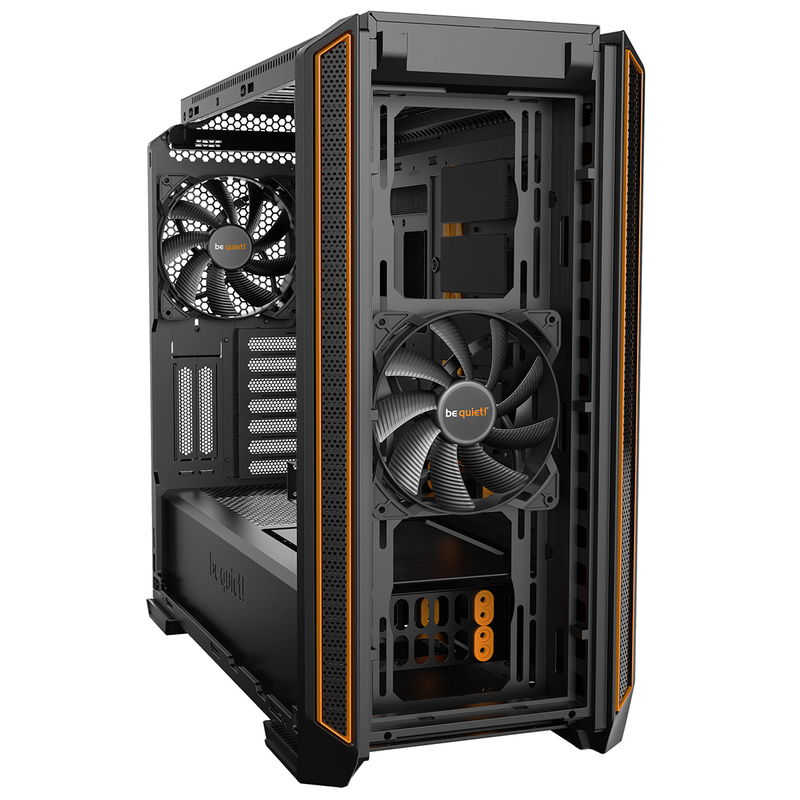 Whereas the Silent Base 600 came to market carrying an £80 fee, the 601 will set you back an additional £30, putting it up against the likes of the Fractal Design Define R6 and NZXT H500i. To be quiet! 's credit, the chassis does feel like a premium product. Build quality is excellent throughout, with thick metal panels providing plenty of rigidity, and the 514mm (H) x 240mm (W) x 532mm (D) frame has a nice, weighty feel about it. Fans of be quiet! 's construction will expect nothing less, but if, like us, you found the Silent Base 600 to be awkward in appearance, you'll much prefer the 601's streamlined exterior. The unnecessary bumps on the roof have fallen by the wayside, as has the half-height front door, leaving a much sleeker overall profile. A choice of signature orange, black or silver accents is available, but other than that there's no real flamboyance. 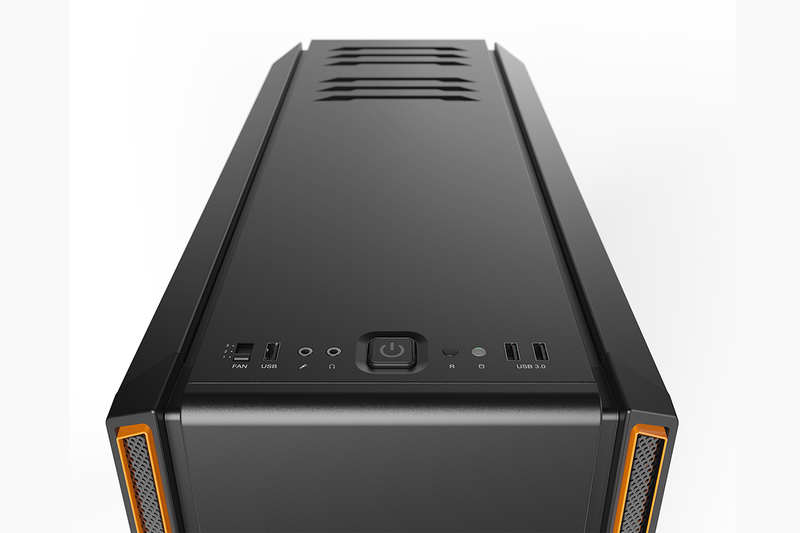 It's a simple-looking case, with high-quality paintwork and no RGB LEDs to speak of. Should you prefer a little more panache, there will be a version with a tempered glass side window launching in the weeks ahead, though expect to pay £123 for the privilege. Without doubt one of our favourite features of the Silent Base 601 is the easily-accessible interior. 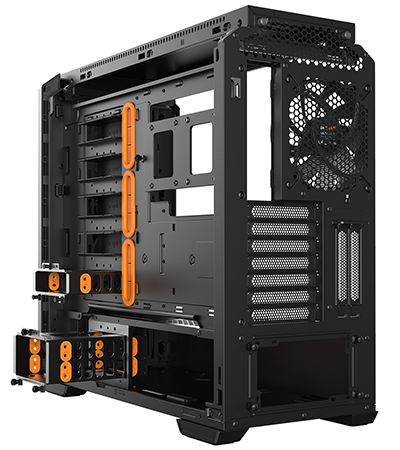 The side panels are released using independent buttons on the rear of the case, allowing them to come away without having to undo any screws, and the front panel simply lifts up and out. Usability is top-notch, and as you might expect, keeping noise levels down to a minimum is another key feature. The front, top and side panels are lined with 10mm-thick sound-deadening material, and the duo of bundled fans is good-quality 140mm units from the Pure Wings 2 stable. Both fans are pre-attached to an integrated three-step fan controller that allows for a choice of 5V, 8V and 12V operating modes using a slider on the I/O panel, and there's one spare three-pin header for integrating another fan. It's nice to get a fan controller as standard, albeit for only a trio of fans, however it's a shame be quiet! hasn't updated the port selection to include USB Type-C. Lined-up alongside the fan controller on the top-front edge is USB 2.0, a pair of audio jacks, power, reset, and two USB 3.0. 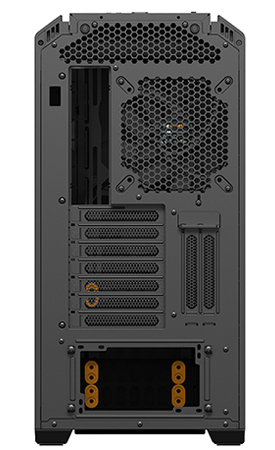 Looking beyond the out-the-box cooling configuration, the case has a total of eight fan mounts; a 120/140 at the back, three 120/140s up top, three 120/140s in the front, and a 120/140 on the base. 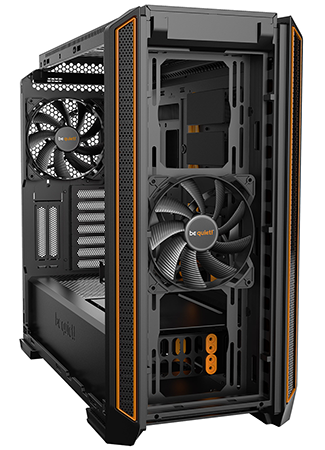 Installing large radiators won't be a problem - you can get a 360 in the front provided you remove the cover at the end of the PSU shroud - and a top radiator is even easier to put in place thanks to a removable fan bracket that slides out after unfastening a couple of screws. 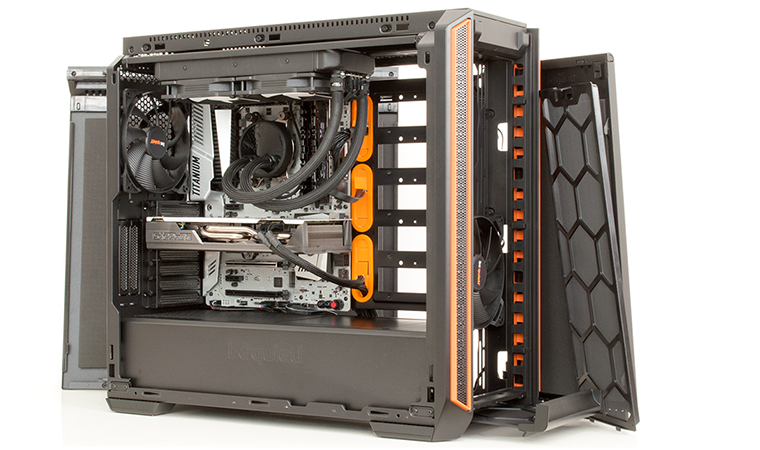 This is a considerable mid-tower solution, so there's plenty of room to work with. 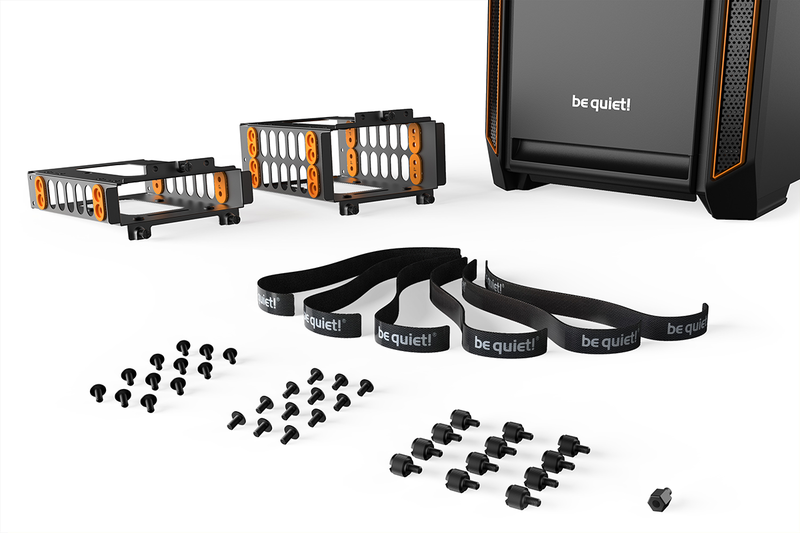 Mini-ITX, Micro-ATX and regular ATX motherboard form factors are of course all supported, and be quiet! 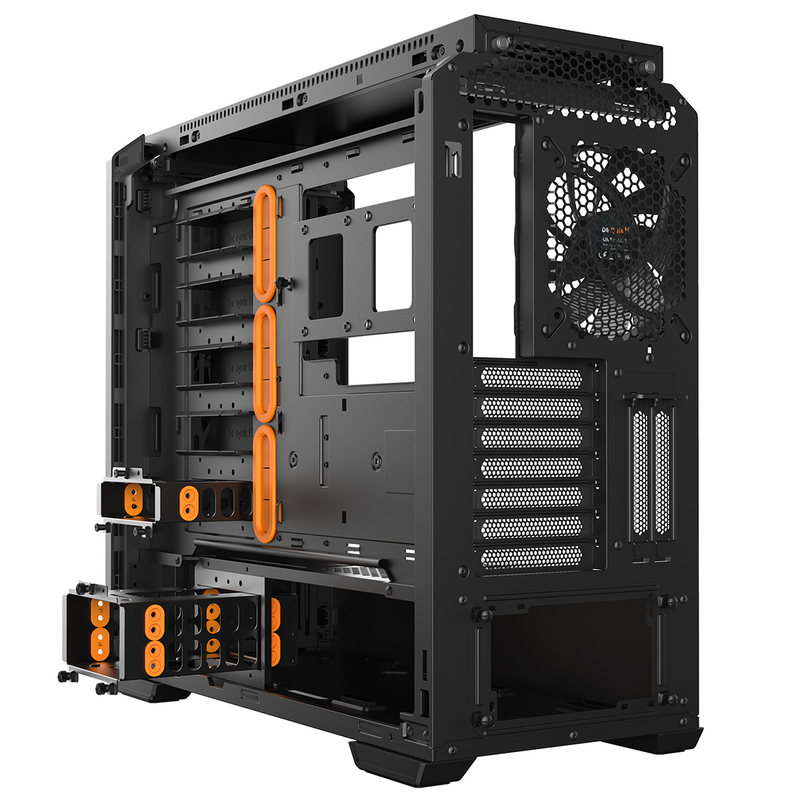 reckons there's also room for an E-ATX board measuring up to 30.5cm x 27.5cm in size. 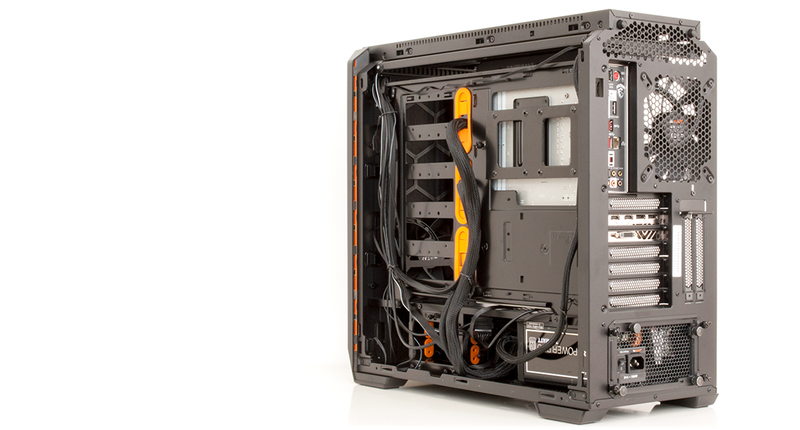 Expansion slots are arranged in a 7+2 configuration, and storage is well-catered for by a dual-bay hard disk cage at the end of the PSU compartment, as well as a single-bay hard disk cage that can be attached to a choice of mounts on the storage column, and a dual-bay SSD bracket that fixes to the rear of the motherboard tray. be quiet! 's HDD trays are of metal construction with rubberised standoffs, however we have identified two potential niggles when it comes to storage. Firstly, there are no longer any 5.25in optical bays; we tend not to miss them on a modern build, yet if it's a feature that you found useful on the Silent Base 600, it's worth knowing that the 601 goes without. The second grievance is that slot covers for the HDD mounting points are only included with the windowed version of the chassis. Just because there's no window doesn't mean we don't want our test build to look as tidy as possible. 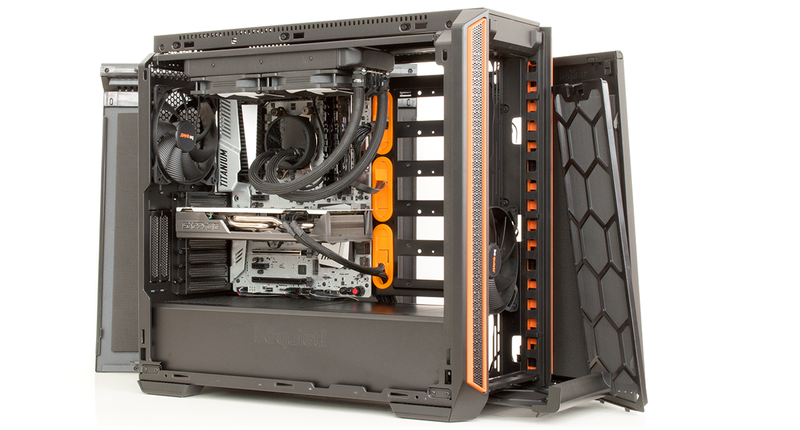 Still, these are minor gripes and the finished rig does look tasty, and with ample space for high-end gear. Graphics cards can measure up to 449mm in length, a CPU heatsink can stand up to 185mm tall, and there's a good amount of space behind the motherboard tray for keeping cables tidy. 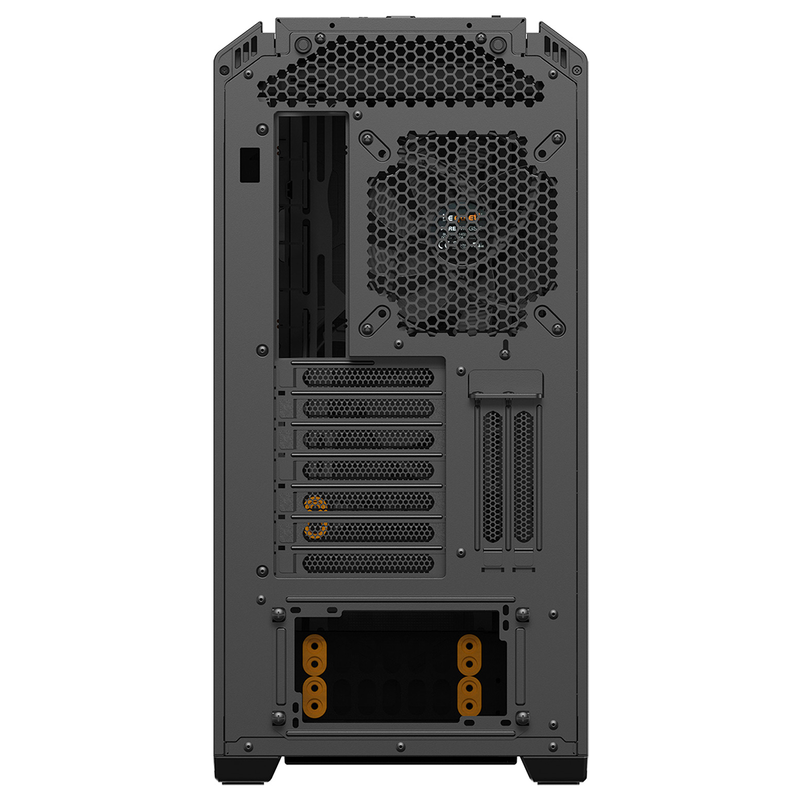 The PSU shroud does a fine job of hiding the supply and the bulk of the wiring, there are plenty of good-sized cable-routing holes, and the two large dust filters are easy to get to. One resides behind the quick-release front panel, the other slides out from the bottom-front and extends the full length of the case.